Well, I was unplugged on Friday - part of Kimba's event at A Soft Place to Land. Today we're talking about how productive we were since we stayed away from the computer. Go over there and check out what everybody was actually doing on Friday! Well, I was busy on Friday and spent most of the day out of the house which made it rather easy to stay off of e-mail, blogs, and twitter. But I had a hard time not checking everything first thing in the morning before leaving. And then when I got back, I just wanted to sit down and be on the computer for a while - but I couldn't! I had to find something to do!! Pillows didn't look right the way living room was arranged, so I started to change things around. This led to rearranging furniture and then redecorating, but only with items that I already owned. Kept working on it until I was happy with it. 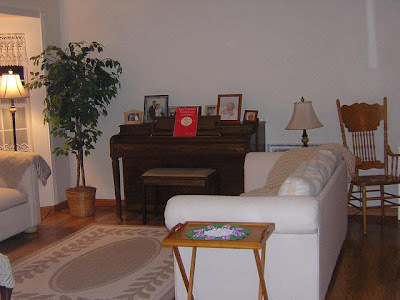 This led to feeling the need to make a couple of rearrangements in the family room, which led to the need to move a large piece of furniture out of the family room. This led to the need to move a bookcase out of the dining room to make room for the other moved cabinet, which led to moving furniture in the spare bedroom to make room for the bookcase. In order to move the bookcase, it had to be emptied out. It contained cookbooks, stationery, and a lot of JUNK! This led to a big sort and reorganization. All of this led to a LOT of dust being revealed, which caused a lot of extra cleaning to be done. Cleaning the floor led me to notice that the windows needed to be cleaned. After all of that, I had regular cleaning to do. This all started on Friday but continued on Saturday. And did I mention that during all of this I discovered that my Dad would be arriving Sunday immediately after church? So I HAD to get everything finished that I had started! On a sidenote, let me just say that I was inspired to rework my room using what I already had from A Soft Place to Land and The Inspired Room! I really didn't think I could do it, but I did. The room is not perfect, but it's so much nicer than before and hubby and son even like it! I think I made our house a little more beautiful - something that Melissa at The Inspired Room tries to do as part of A Beautiful Life. How's THAT for productive? 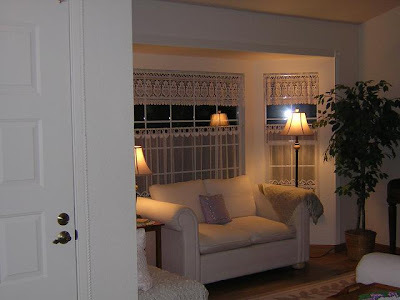 And as a good blogger, I do have pics of the rearranged living room with the pillows from the thrift store that I went to since I was unplugged which was all because of KIMBA - LOL!! Thanks Kimba for my "new" living room - ha,ha! And this was the start of Spring Break - it's wonderful to have accomplished so much in the house at the beginning of the break! My Dad is now here visiting and I am actually taking a blogging break the rest of the week. 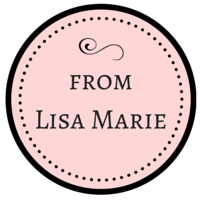 But, never fear - I have fabulous guest posts lined up for you this week! I know you will enjoy them. Please do give them lots of comment love and visit their blogs - they are worth your time. *Dad is now gone, so maybe I'll accomplish a couple of other things...like taxes. Seems like there might be a deadline or something for those. 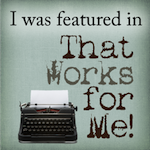 ;) I've also linked this post to Your Life, Your Blog with Sarah at Real Life. Go over there and link your favorite post from the previous week! Wow girl! You went to town.Literally! LOL. I love your living room. It's so cozy. I want to sit and have tea! For some reason my feed isn't being published today so everybody is still seeing Friday Funnies and it's aggravating me! Your blog isn't even loading completely so I had to highlight your post so I could read it! Ugh! I had such an inspiring post too and no one will see it! *sigh* LOL. Big Long commenting, furniture rearranging, dust being revealed ,dad coming the next day hugs! Phew that's a record right there! LOL. I am visiting via ASPTL. You made good use of your day off. Wow! It looks great my friend! You did good! I hope you enjoy your time with your dad. Sounds like a fun week! Oh, I love that arrangement! Adds a touch of the unexpected and looks so welcoming! 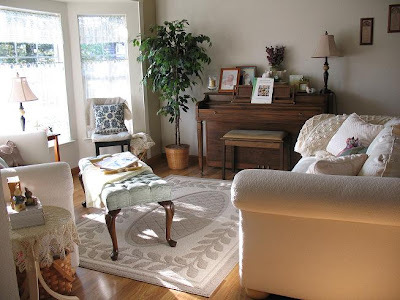 I'm also learning to use what I have in redecorating, and there's such a sense of accomplishment when it all comes together for little to no money. I heart decorating!!! Wow! What a difference - beautiful! It looks like it should be in a magazine! Gorgeous room!!! I love it!! 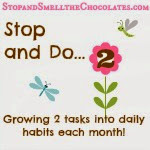 Followed your link from the inspired nest and really enjoyed your post. How fabulous a simple switch around and everything looks so different. Thanks for the inspiration. Wow, I can't believe what a difference re-arranging made. The whole room is gorgeous!! WOW! Great job! I love those decorating shows that teach you how to rearrange what you already have. Di you feel like coming to the East Coast, because I really need some inspiration to do this to my house! I love it! I do this in my home every few months, isn't it refreshing? You did a fantastic job on the room redesign. I love the sofa on an angle, and the pillows really do add. I love doing redesigns so much ---that is what my blog is all about. 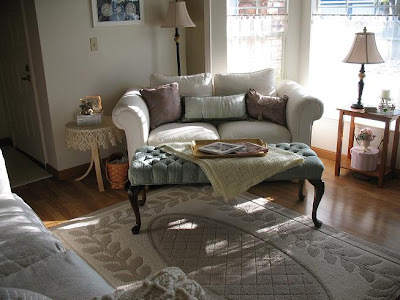 Simple steps teaching you how to create a cozy comfortable space with what you have already. And you did it beautifully! Woot! Woot! A little cheer for your good work! What a great transformation. It looks so much cozier, welcoming and pretty now!